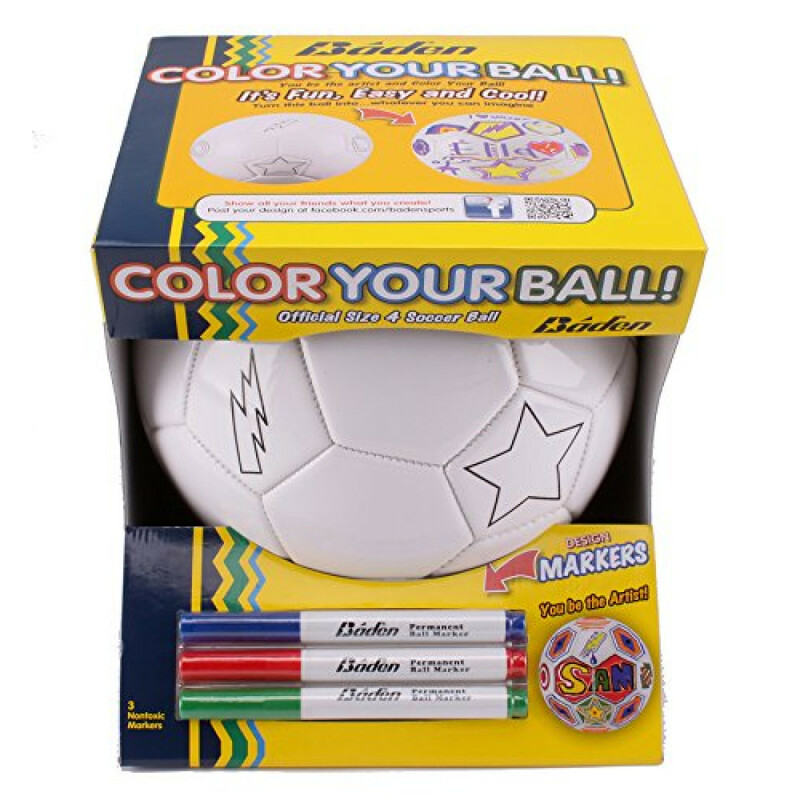 With Baden's Color Your Own Soccer Ball, you can now color and personalize your own ball! 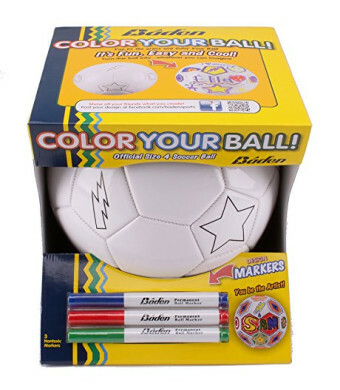 The ball works as a canvas to display a more creative, fun side, while still being durable to play in the yard with. A cushioned synthetic construction allows for a soft, durable feel while keeping the graphics on the ball. Don't worry about finding the perfect markers, they come in the box! Makes a perfect gift for children of all ages.